Lisa Ramsey, Service User Voice Policy Manager for the maternity transformation programme, talks about the new 15 steps for maternity toolkit launched earlier this week to help maternity services deliver personal and safe care for women, their babies and their families. The 15 Steps for Maternity toolkit is a new and exciting way for women and their families to improve the quality of care in maternity services. The toolkit has been designed for Maternity Voices Partnerships (MVP); which are collaborative teams of maternity service users, provider staff and commissioners. Based on the ethos of teamwork within MVPs, the 15 Steps toolkit is a new method which looks at maternity services from the perspective of those who use them. It explores their first impressions of care, their surroundings and the overall experience across their maternity journey. Maternity Voices Partnerships already use a variety of methods for listening well to people using maternity services such as using Walk the Patch and community outreach; both ways of listening well to the experiences of those using maternity services, holding listening events or focus groups, using online surveys and social media, and the 15 Steps for Maternity is a fantastic addition to this suite of tools. The 15 Steps model is one that is tried and tested and used in other areas of the NHS, now recognised by staff and commissioners as a practical and beneficial way of ensuring quality from the perspective of those who use services. The toolkit can be used in all maternity settings including Community Hubs or Children’s Centres where antenatal care might be provided at home, birth centres or obstetric units where care during labour and birth is provided and on the postnatal care wards or the community where care after birth is provided. The toolkit has been designed for Maternity Voices Partnerships; which are collaborative teams of maternity service users, provider staff and commissioners. It can be used regularly to help improve care and experience. One Local Maternity System is already planning for each of their Maternity Voices Partnerships to use the 15 Steps in each other’s maternity settings, bringing completely fresh eyes. As you start using the 15 Steps for Maternity toolkit which was co-produced and rigorously piloted during development, why not share your experience and learning with others. Social media is great for this and please include the hashtag #15StepsforMaternity with your photos and posts. Lisa is the Service User Voice Policy Manager for Maternity at NHS England. This currently involves engaging and facilitating local women, providers and commissioners to form Maternity Voice Partnerships (MVPs) within their Local Maternity Systems. MVPs are multi-disciplinary teams that work together to review and co-produce services with women and their families. 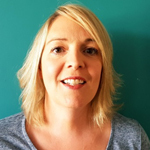 Lisa is developing a toolkit for MVPs to use called 15 Steps for Maternity, which will is a simple took for listening to women and seeing services through their eyes. Lisa also chairs Reading MVP and is a founding committee member of National Maternity Voices. This committee supports MVPs nationally to listen well to women and their families about their maternity care experiences, especially seldom heard women, so that future services can be shaped around them: www.nationalmaternityvoices.org.uk.